This year, 2015, Florence is celebrating the 150th anniversary of when the town was declared capital of the recently established Kingdom of Italy. 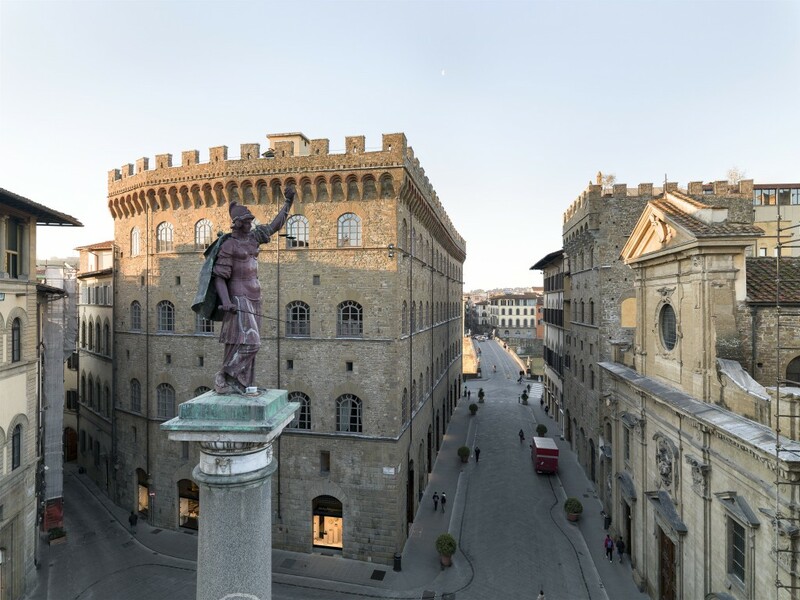 During the years as capital, 1865-1871, the town hall was moved from Palazzo Vecchio to Palazzo Spini Feroni, today seat of the Salvatore Ferragamo Museum. Here important decisions were made, including Florence’s current town planning. 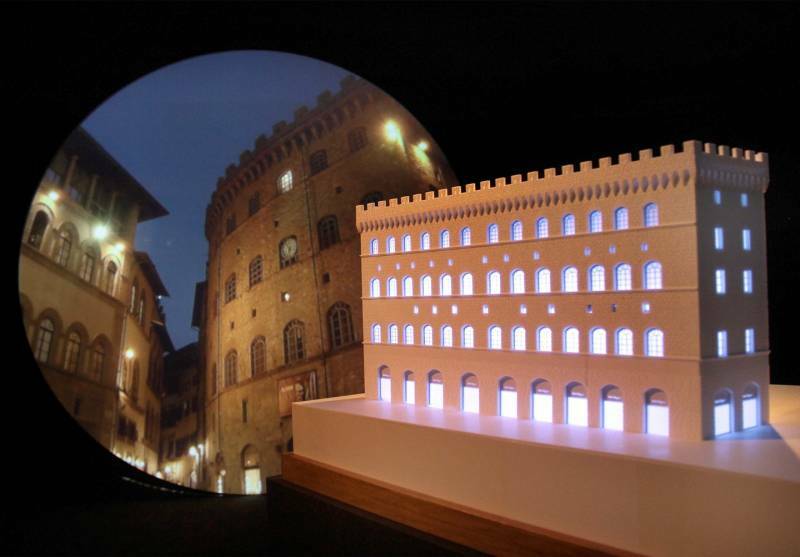 For this reason the Salvatore Ferragamo Museum has decided to commemorate the occasion with an exhibition and a catalogue, Un Palazzo e la Città, A Palace and the City. 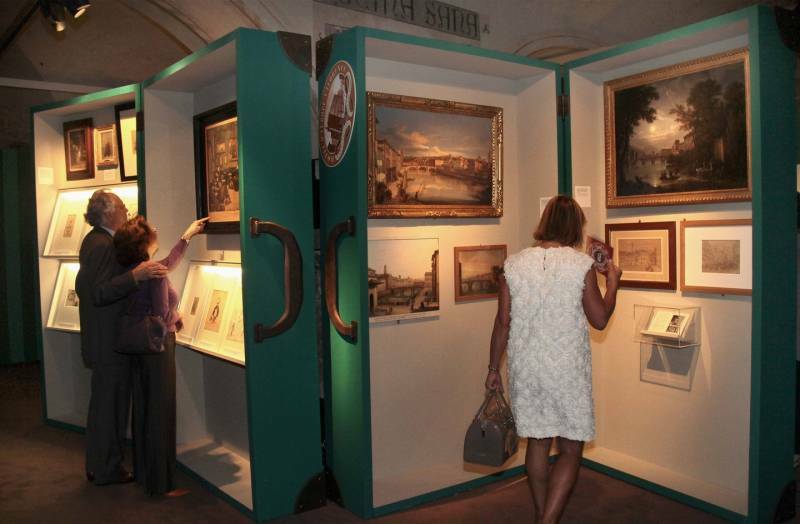 The show wishes to represent the complex history of this building (private residence for noble families, government headquarters, luxury hotel for guests such as Chancellor von Metternich and composer Franz Liszt, second seat of the Gabinetto Scientifico Letterario Vieusseux, artistic workshop and fashion atelier) against the backdrop of Florence. 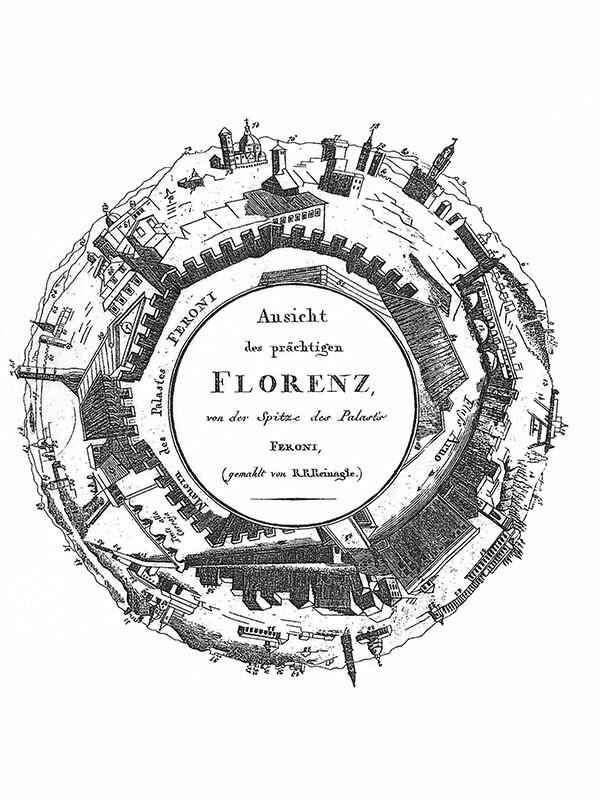 The symbol of the exhibition is inspired by a 360 degree panorama engraving of Florence by Richard Ramsay Reinagle, taken in 1806 from the crenellated roof of Palazzo Spini Feroni and published for promotional purposes in the “Journal des Luxus und der Moden” as a kind of diorama of the city. The Palace represents a slice of Italian culture and is today the world symbol of the Ferragamo fashion house: a clear demonstration of the fact that the talent of Italians also thrives from the places it works in and from which it takes nutriment and that beauty effectively does create beauty. The exhibition is on show until April 3rd 2016 and is curated by Stefania Ricci and Riccardo Spinelli. Opening hours, every day from 10 am to 7.30 pm. Closed on August 15th, December 25th, January 1st. Full price ticket costs 6 Euros. 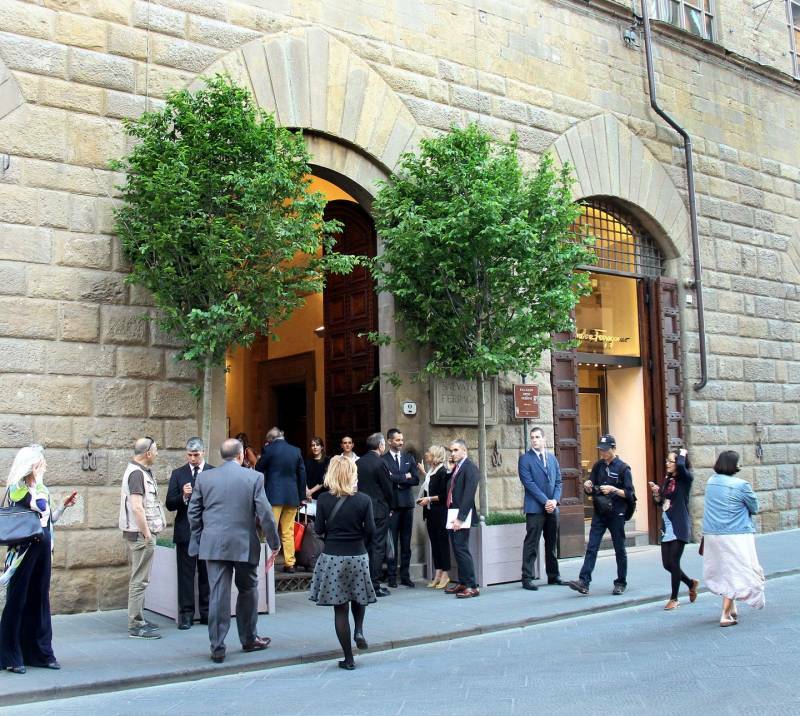 Questa voce è stata pubblicata in Art in Florence, Events in Florence, Exhibitions in Florence, Florence e contrassegnata con Events, Florence, Salvatore Ferragamo, Salvatore Ferragamo Museum, Tuscany, Un Palazzo e la Città. Contrassegna il permalink.